Fortunately, Magento 2’s extended development cycle has given the core team time to address some of these problems with — you guessed it — more design patterns and more object manager features. Today we’re going to take a look the problem of ill-performant code while using other people’s objects. Along the way we’ll discuss Magento 2’s use of the proxy pattern to solve this problem, as well as our first real discussion of Magento 2’s code generation features. We’re deep in the weeds here — while you may find something of value as a newcomer, you’ll definitely want to get familiar with the basics of Magento’s object system to get the full value out of the article. If you’re not sure how to install a module manually, the first article in this series has the instructions you’re looking for. If you see output telling you you’ve installed both modules, you’re ready to go! These two modules simulate a common situation when using other people’s code — you’d like to make use of the their objects, but their code includes slow loading dependencies that you don’t need. The first thing this code does ($this->createService($output);), is create aEcommage\TutorialProxy1\Model\Example object using the object manager. We’re using the object manager directly here for simplicity’s sake — in real Magento 2 code you’ll create most of your objects via automatic constructor dependency injection. Since automatic constructor dependency injectionuses the object manager, everything we show you today will be available to your injected objects as well. All these methods do is pass on method calls to the Ecommage\TutorialProxy1\Model\Example object. Also, and omitted above, these methods contain some simple profiling code that will let us know how long each method took to run. We’ve also dropped similar profiling code in the Example service object and its dependencies. Something is taking over 3 seconds (3000 milliseconds) to load. In our example, this three second load is simulated using a PHP sleep statement — but in the real world slow loading constructors can be murder to objects musing dependency injection. pass on a call to the hello method of the fast and slow arguments (now stored as object properties). We’ve also added some debugging messages to the constructors of our FastLoading and SlowLoading classes. That is — we’ve placed a three second sleep in the constructor to simulate a slow loading object. The end result is, when we run our command, we have a detailed report of what’s going on, and how long it’s taking. Based on the above, it’s taking approximately three seconds to create aEcommage\TutorialProxy1\Model\Example object. We now have a crude, if exaggerated, version of the sort of performance problem you might run into in the real world. Why is the Example class loading slowly? Based on what we’ve learned in this article so far, it’s the SlowLoading objects that are our slow ones, not theExample object. We see two objects injected. Per Magento’s automatic constructor dependency injection, we know this meansbefore the object manager instantiates a Ecommage\TutorialProxy1\Model\Example object, it will need to instantiate both a Ecommage\TutorialProxy1\Model\FastLoading andEcommage\TutorialProxy1\Model\SlowLoading object. So, our problem isn’t really a slow loading Example object — it’s a slow loadingEcommage\TutorialProxy1\Model\SlowLoading argument. This distinction might seem trivial, but it will be important in the solution Magento’s object manager provides. The Magento core team must have run into this sort of a problem a lot — because not only do they have a solution for it, but that solution is baked into the object manager. Magento’s solution is an implementation of the proxy pattern, used here to defer the loading of an object’s arguments. If that didn’t make sense, don’t worry, we’ll guide you through the process step by step, and then explain what we did. If that did make sense to you, you’ll still want to proceed carefully — there’s some Magento 2 specific magic that, at first glance, makes everything a little confusing. However, once you’ve created a few proxy objects the magic should start making sense. When Magento uses a Ecommage\TutorialProxy1\Model\SlowLoading object as an argument in aEcommage\TutorialProxy1\Model\Example object, this slows down the instantiation of theEcommage\TutorialProxy1\Model\Example object. The solution to this is, via Magento’s di.xml configuration, to replace theEcommage\TutorialProxy1\Model\SlowLoading argument with a proxy object. The proxy object will not suffer from the same slow loading as the original argument. Said another way, we’re going to use plain old argument replacement to replace the problem object with a different, special object called a proxy. To do this, add the following nodes to the Ecommage_TutorialProxy2 module’s di.xml file. This is (mostly) standard argument replacement. We’re targeting the arguments in theEcommage\TutorialProxy1\Model\Example object, specifically the argument named slow, and replacing it with a Ecommage\TutorialProxy1\Model\SlowLoading\Proxy object. The one new thing is the Ecommage\TutorialProxy1\Model\SlowLoading\Proxy class/object. We’re going to need to do a little hand waving and say “trust us” on what this is. All you need to know for now is, since we’re replacing the Ecommage\TutorialProxy1\Model\SlowLoading class, we replace it with aEcommage\TutorialProxy1\Model\SlowLoading\Proxy class (i.e. — we append \Proxy to the initial class name). and re-run the command with the above in place, you should see the following. And you’ll see an even more dramatic improvement. Your times may vary in their specificity, but the ratios/pattern should be similar. Congratulations! You’ve successfully used a proxy to improve the construction time of a Magento object manager object. We never defined a Ecommage\TutorialProxy1\Model\SlowLoading\Proxy class, so what is it? A virtualType? Something else? The proxy pattern is about substituting one object for another — why does this improve performance? Why did we need to run the command twice to see the full performance improvements? All valid questions, and they all get to the heart of the magic involved in Magento’s proxy objects. This is the Ecommage\TutorialProxy1\Model\SlowLoading\Proxy class we configured, and Magento generated. Notice it’s in the var/generation folder. When Magento’s object manage encounters a class whose “short name” is Proxy (i.e. whose full class nameEnds\In\Proxy), it will automatically generate a proxy class like this one. So, above we told the object manager to create a Ecommage\TutorialProxy1\Model\Example\Proxy object. the object manager will yell at you. for "Ecommage\TutorialProxy1\Model\Ghost\Proxy" generation does not exist. While PHP frameworks have used automatic code generation for a while, it’s usually at the explicit request of a user (i.e. “make me a file”). In Magento 2, code generation exists to save a developer the time of writing a lot of the boiler plate code that accompanies “design patterns” style programming. This leads in well to our next topic: Why does a proxy object improve performance? Before we continue, don’t forget to remove the temporary object manager code from the execute method. in its most general form, is a class functioning as an interface to something else. The proxy could interface to anything: a network connection, a large object in memory, a file, or some other resource that is expensive or impossible to duplicate. If we take a look at the generated code, we’ll immediately see why a proxy object gave our object instantiation the performance boost it did. The proxy object completely replaces the constructor of the proxied object, and does not make aparent::__construct call. The first is an object manager instance, the second is the name of the class this object proxies, and the third is ashared argument. We’ll cover shared/unshared in a future article — for now just concentrate on the first two arguments. So, by replacing the entire constructor, we avoid any slow loading behavior. However — what if important things happen in the __construct method? What about the other properties assigned there? Aren’t we breaking the Ecommage\TutorialProxy1\Model\SlowLoading object by doing this? Fortunately not. In addition to replacing the constructor, our proxy object also replaced each public method of the original object. 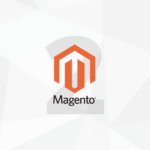 In this way, Magento defers the loading of the slow loading object until it’s needed. In fact, if you re-examine our current output in its entirety. Regardless of whether you choose to use proxies — they’re a part of the Magento 2 core system, and likely to show up in other people’s code, so make sure you understand them. Some readers will have already figured this out. While code generation means we avoid having to create all the boiler plate code in our proxy class over and over again, there is a small performance cost involved (around 6 ms on my development machine). Once the code is generated, it stays generated — Magento 2 will only generate a file if it can’t instantiate the request object. was the proxy object skipping direct instantiation of the SlowLoading argument. was PHP not having to regenerate an already generated class. There’s another gotcha to code generation. If you change the original proxied class, Magento 2 won’t automatically re-generate any new public methods. This will create unpredictable behavior as you’ll still be able to call the new method (since the proxy object extends the original class), but the new methods won’t instantiate the subject object, and will cary a different state. to trigger re-generation of any code that needs it. For production systems — I expect this generated code folder will be one of those challenges early adopters will wrestle with. Magento 2 appears to offer two compilation commands) that will pre-generate code for the entire system — but these commands also go above and beyond generating code. Also, for anyone into scalable systems, on-the-fly generated code sets off all sort of trigger warnings for running in a multiple-app/frontend server environment. While these problems will, no doubt, be sorted out over the coming months and year(s), it’s a challenging climb ahead for Magento 2 devops engineers. Fortunately for us — we’re a series for programmers! Unfortunately for us, we’ve covered a lot of information today (proxies and code generation), and it’s probably a good idea to take a small breather. Next time our code generation exposure will come in handy as we explore shared/unshared objects, as well as Magento 2’s take on the age old factory pattern.